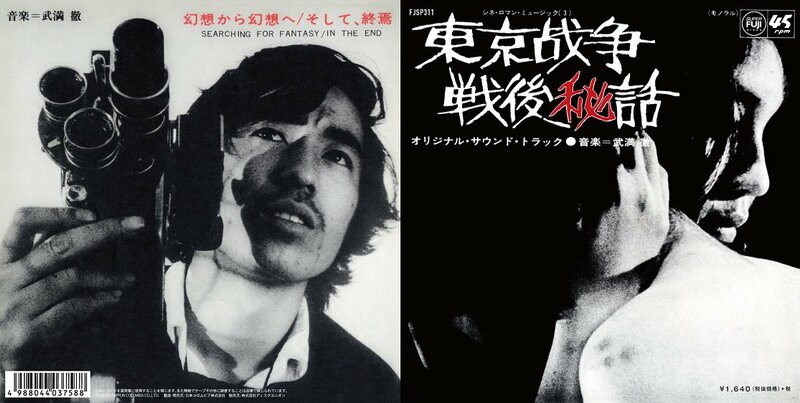 Eros + Massacre is a Japanese black-and-white film released in 1969 and it’s considered as one of most significant film of the Japanese New Wave (Nouvelle Vague). It was directed by Yoshishige Yoshida, who wrote it in cooperation with Masahiro Yamada and The musical director was Toshi Ichiyanagi and Apryl Fool’s contribution can be heard on the second side, an instrumental track dominated Yanagida’s by a roaring Hammond organ. The A-side is a rare avant-garde recording by Ichiyanagi Toshi, consisting out of prepared piano crossbreeding with the austere sounds of the Shakuhachi, making it a juxtaposition in a feverish demented way as opposed to the derelict acid dementia of Yanagida and Apryl Fool on the other side. Original from 1970 doesn’t turn up until you have big pockets. I think this re-release will sell very fast, so don’t wait too long. 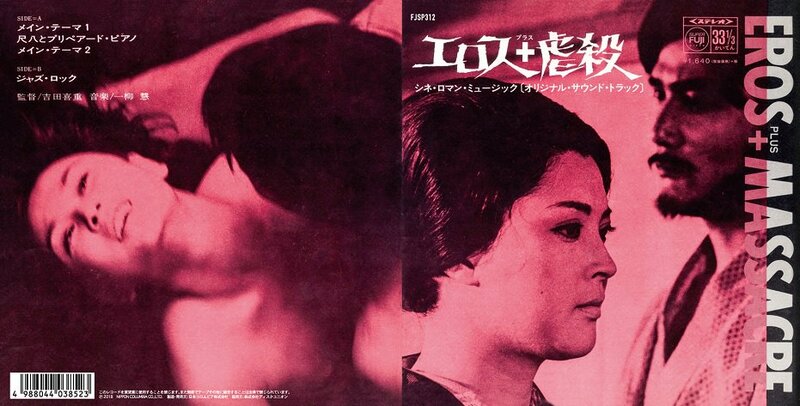 Released way back in August 1970 as soundtrack to ” The Man Who Left His Will ” filmdirected by Oshima Nagisa. Surprisingly for Takemitsu, both tracks on this disc are very guitar and hand percussion oriented, but in a very personnal and almost psychedelic vibe.